I took a break from working on my Birthstone Fairies and finished this cute little fairy sitting with her butterfly friends. I couldn’t think of a name for her, so this is called Little Fairy. If anyone can think of a better name for her, please let me know. There will be a psd tube available of her at Artistic Dreams Imaging in the near future, for all you taggers out there. If you’d like a closer look, or are interested in a print or postcard of this art please visit my gallery. 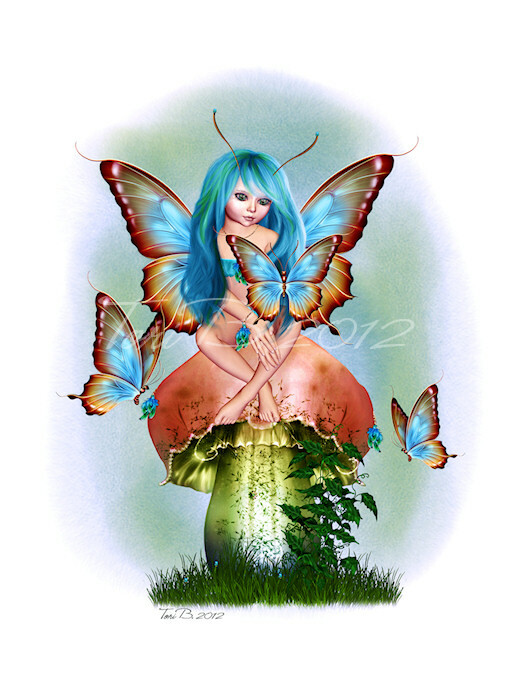 Posted in Tori Beveridge and tagged art, artist, Artistic Dreams Imaging, artwork, digital art, fae, fairies, fairy, fantasy, Tori B.